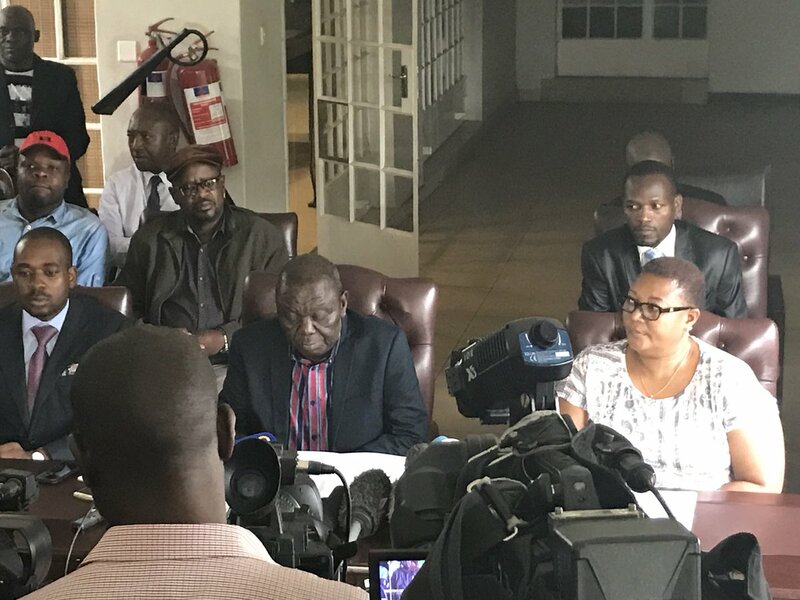 Today, I convened a meeting of the party’s Standing Committee in Harare to deliberate on the current situation in the country. Our country has been undergoing an extremely difficult period since the disputed and illegitimate election of 2013. Over the years, Mr. Mugabe has presided over violent and rigged elections. Unfortunately, regional bodies have tolerated this for far too long. Mr Mugabe manipulates the voters roll, ballot papers and intimidates citizens mostly in the rural areas through unconstitutional means. The party leadership restated the party’s values, especially its commitment to democracy and the need for a legitimate government that can immediately begin to transact the business of the nation. 1.That in the interest of the people, Mr. Robert Mugabe must resign and step down immediately in line with the national expectation and sentiment, taking full regard of his legacy and contribution to Zimbabwe pre and post-independence. 2.That there be a negotiated, all-inclusive transitional mechanism. 6.That SADC, the African Union, the UN and the broader international community be the underwriters and guarantors to the roadmap to free and fair elections. In full recognition of the ideals of our liberation war anchored upon respect for rights, dignity and one-man-one-vote, we respect the right of every citizen to vote freely and fairly in electing a leadership of their choice. For this reason, the party urges all Zimbabweans above the age of 18 to register and participate in the crucial on-going voter registration exercise. This is the only assurance to an irreversible path to national freedom, happiness and economic prosperity. To our neighbours, you now all know the simple choice you face; either support our rights or our refugees.